Brandon Mull just keeps writing more and more. Not content with all his other series he now offers us the Five Kingdoms, due out next month. Great for those who love adventure, mystery, haunted houses and portals to other worlds. I’m not sure how he finds time to sleep with all the writing he is doing. Cole Randolph and his friends discover more to a haunted house than they bargained for when they go out exploring on Halloween. 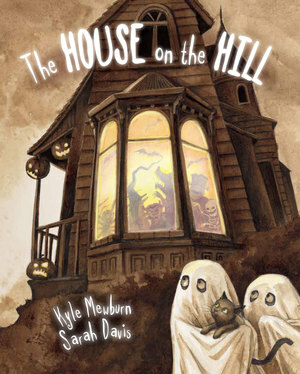 Cole watches as his friends are whisked away through a portal to a mysterious place underneath the haunted house. He follows them ending up in a place called The Outskirts. The Outskirts are made up of five kingdoms which lie somewhere between wakefulness and dreaming, reality and imagination, life and death. While some people are born in the Outskirts and others have found there way there, there is one thing is for sure, once you are in the Outskirts, it is almost impossible to leave. Will Cole manage to escape and will the unusual girl, Mira be able to help him find his friends and make their way home.